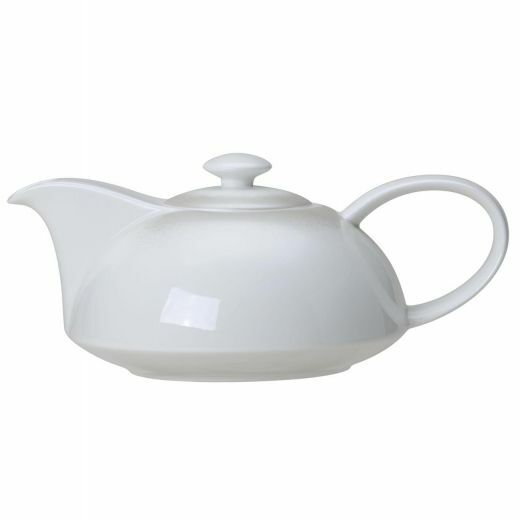 Treat yourself to an extra special cuppa with this Frost fine bone china teapot. Crafted in collaboration with two-star Michelin chef Brett Graham, this bone china teapot is from our new Frost collection which combines decorative texture with a unique shape. Treat yourself to an extra special cuppa with this Frost fine bone china teapot. Crafted in collaboration with two-star Michelin chef Brett Graham, this bone china teapot is from our new Frost collection which combines a delicate decorative texture with a unique shape. We’ve taken the passion of William Edwards Home for ceramic design and Brett’s focus on creating food with spectacular visual qualities to make this bone china teapot truly special.